Here it is. £50 from ebay. Not got it to work yet as it's been a bit too cloudy! 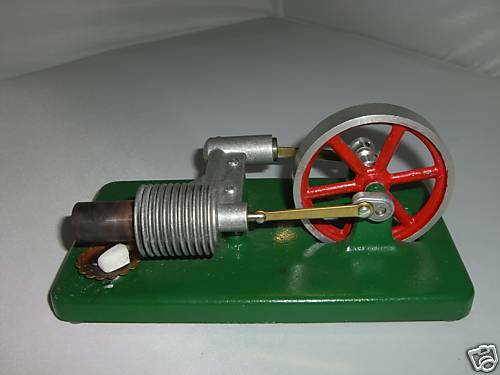 The plan is to power the Sterling engine using a solar focusing Fresnel lens, and to turn a small motor with it to generate some electricity, enough to charge a mobile phone or light a few LEDs perhaps.